Lunch has met its match. Send the kids headlong into their days with a lunch box packed with good stuff. 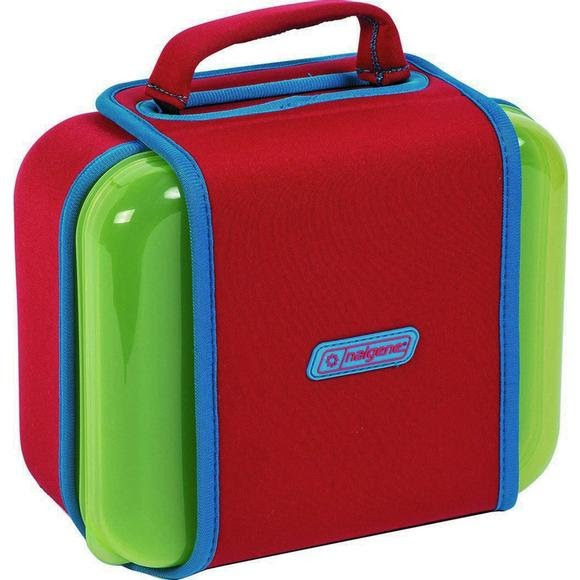 With the roomy, rugged Lunch Box Buddy, their food will stay cool and their sandwiches will be safe from getting smushed. At days end, just toss it in the dishwasher. Lunch has met its match. Send the kids headlong into their days with a lunch box packed with good stuff. With the roomy, rugged Lunch Box Buddy, their food will stay cool and their sandwiches will be safe from getting smushed. At days end, just toss it in the dishwasher. An adjustable ice pack offers three ways to organize, which allows for more flexibility in packing. All while keeping the contents at the right temperature. A solid material case stands up to even the toughest cafeteria horse-play or trips to school. Protective design puts an end to mushed sandwiches and snacks. Measurements 8.6" x 7.8" x 4.3"